As the original regiment served both in Italy and Northwest Europe, a truly exciting aspect of recreating the Perths is that two primary orders of dress were worn in several versions, i.e. Battledress (BD) and Khaki Drill (KD). This woollen, serge uniform was adopted by Britain in 1937 and soon after in Canada (Ptn39) and became the standard for temperate climate wear during the Second World War. Although some Commissioned Officers wore a more formal uniform known as Service Dress on ceremonial occasions, BD became common for all ranks to wear on all occasions from medal awards at Buckingham Palace to the front lines in Italy and northern Europe. Canadian-made BD was a darker, greener shade of khaki compared to British and, because of its higher quality wool and tailoring, was preferred in both armies. Due to financial strain, the British introduced a second pattern in 1940, which eliminated several of the classier features of the early pattern and cut the garments far closer to the body. This was known as the Economy, or Ptn40 version. At times, when supplies of Canadian BD ran short, British BD was issued in its stead. 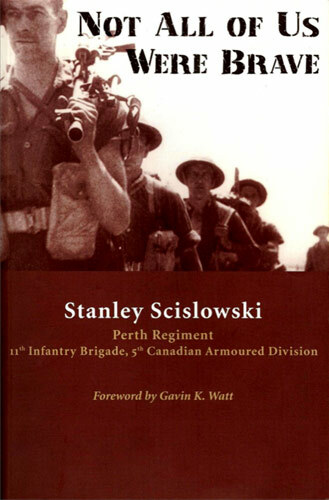 In consequence, both Canadian and British BD are acceptable for Perth reenactors. (i) Blouse: The BD uniform consisted of two items. First, a short jacket with an integral, cloth, buckled belt. This was officially known as a Blouse. When properly worn, the garment was fashionably bloused over its own belt, or over a web Waistbelt if worn. The Blouse had two exterior, pleated patch pockets at breast height with flaps and hidden buttons and two, very deep, inside breast-level slash pockets. Three hidden buttonholes are at the back of the blouse and these are to be fastened to matching buttons on the Trousers, which prevents the two garments from gapping. The Blouse had two cloth epaulettes which were buttoned in place. Commissioned Officers wore their rank insignia on the epaulettes. 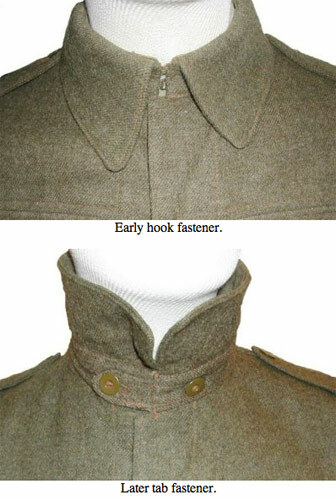 In the early war, Canadian BD Blouses had hooks and eyes on the collars; later in the war, a button and tab was substituted. Sample from the HELMETS, CAMOUFLAGE NETS AND SHELL DRESSINGS article. Canadians wore an amazing variety of helmets in the Second War, including, for a short period, old stocks of the Great War MkI Brodie design; however, the most common model worn was the MkII, which employed an improved Brodie steel shell and a lightweight, adjustable canvas chinstrap. The Canadian MkII employed a liner made of fibreboard with rubber spacers and a cruciform-shaped, crown piece and rubberized cloth curtains. Unfortunately, while all MkII liner designs improved protection to the skull from overhead injury, they caused the steel shell to ride higher on the head, resulting in greater lateral exposure. Although several composite helmets made of cork, leather, rubber, felt and resin binders were developed for Armoured and Reconnaissance regiments, their troopers primarily wore the Royal Armoured Corps MkI steel Helmet in combat. Sherman and Stuart tanks were delivered with the U.S. M6 Crash Helmet, but it was not as popular as the RAC MkI. 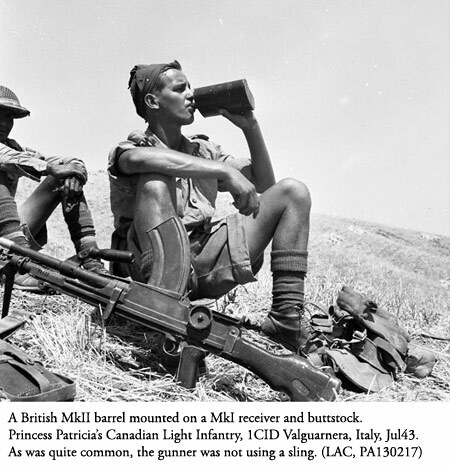 Also common in the Italian theatre was the use of the RAC MkI for Canadian infantry of the Support Companies, as it’s tight-to-the-head steel shell allowed easier carriage of machine guns and mortar tubes; however, the helmet’s profile was dangerously similar to that worn by German Falschirmjaegers and could lead to tragic misidentifications. The RAC MkI’s shape of steel shell with purpose-built liners was employed for Dispatch Riders and Paratroopers. For the 1943 invasion of Kiska Island in the Aleutians, 13th Canadian Infantry Brigade was issued with the U.S. M1 Helmet, which offered better lateral protection. The M1 was examined by British and Commonwealth forces for possible adoption, but, due to some critical shortcomings, the British instead developed the MkIII. 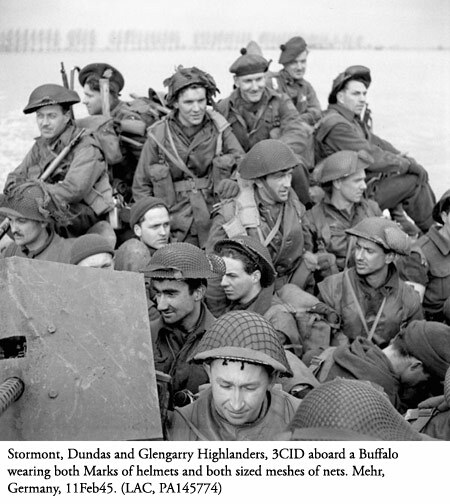 For the invasion of Normandy, the distinctive MkIII ‘Turtle’ Helmet was worn by 3rd Canadian Infantry Division. The infantry of the follow-on 2nd and 4th Divisions continued to wear the MkII, as did 1st and 5th Divisions in Italy; however, by 1945, some infantrymen of all five divisions could be seen wearing the MkIII. The Bren Light Machine Gun was the most famous Commonwealth small arm of the Second War. The original design was developed at Brno [BR-] arsenal, Czechoslovakia and modified by Enfield [-EN, i.e. BREN] Lock arsenal, England and adopted into the British service in 1937. Although Britain was initially loath to turn to Canada for the production of war goods (lack of confidence in Canadian industry and concerns about future competition), an early exception was the Bren. The first contract was let to John Inglis Co. Ltd. of Toronto in 1938 and, by the end of the conflict, Inglis had produced 186,000 Mark I & II guns in two calibres, .303 for Commonwealth forces and 7.92mm for the Nationalist Chinese Army. In the early war, the Bren was employed in an Anti-aircraft role on ground and vehicle mounts and as secondary armament on armoured vehicles, but its fame was truly earned as the infantry’s section light machine gun. The Bren was extremely accurate on repetition fire and gave dense bursts on automatic, which some critics considered a fault. While an overheated barrel could be quickly changed, the spare barrel mounted a front sight that had to be sighted-in to the specific gun, unlike the German MG-42, which could accept any spare barrel. Parts from both Marks of Bren could be readily interchanged, although the block and barrels had to be matched for proper fit. An infantry section was divided into two elements, a Rifle group under the corporal’s direction and a Bren group under the lance-corporal with a gunner - the No.1 – and an assistant - the No.2. The latter carried additional magazines, the spare barrel and maintenance tools. As well, every man in the Rifle group carried one or two Bren mags in his Basic Pouches. Bren gunners were trained to fire repetition and to only switch to automatic in extremis, a tactic that disguised the gun’s position. Similarly, to avoid identification during movement in combat, gunners learned to carry the gun across their body like a rifle, rather than by the barrel’s handle.